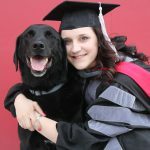 Dr. Kelly graduated from Washington State University’s College of Veterinary Medicine in May 2015. Born and raised on the Long Beach Peninsula, it was always her dream to come back and work at Oceanside Animal Clinic. She graduated from Ilwaco High School and earned a BS in Zoology at WSU prior to starting veterinary school. Dr. Kelly started working at Oceanside Animal Clinic in June 2015 and took over ownership from the Ketels in 2017. She and her husband, Dr. Ben Spall, hope to be here for many years to serve this community and all the beloved pets on the Peninsula. When not at the clinic, she enjoys spending time with her husband and the abundant family she has in the area, watching football, and spoiling her pets. Dr. Raela graduated from Washington State University in May of 2017. 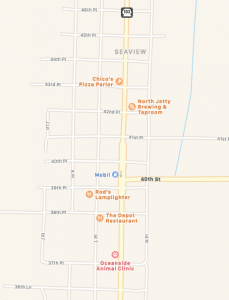 She grew up in the small town of Amboy, Washington and spent many summers vacationing on the Peninsula and always dreamed that one day she would live in this wonderful area. She is excited to put down roots and become part of this amazing community. 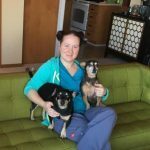 In her free time she, and her husband Andy, enjoy traveling, pub trivia, and exploring the beaches with their two dachshund mixes. Dr. Ruth graduated from the University of Illinois College of Veterinary Medicine in 2017. Born and raised in Northern California, she is thrilled to be back on the West Coast where she belongs. 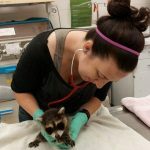 Some of her professional interests include internal medicine, ophthalmology, and working with non-traditional species. When she’s not in the clinic, you can probably find her hiking or enjoying the beach with her mutt (Ham), or watching football (Go Raiders!). 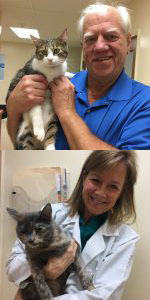 Drs Catherine Lindblad and Ed Ketel owned Oceanside Animal Clinic from July 1980 to July 2017. They are fixtures of this community who cared deeply about the people of the Peninsula and their pets. They made Oceanside Animal Clinic what it is today and although they are now happily retired, they still pop in from time to time to say hello and sometimes even do some doctoring!